Shopping for Betty Boop Travel Mugs? Have some fun with Betty Boop! A double-walled ceramic mug, it's the Betty Boop Fun Travel Mug with Handle. This mug holds up to 14 ounces of liquid. The Betty Boop Fun Travel Mug with Handle fits in most vehicle cup holders and is both microwave and dishwasher safe. 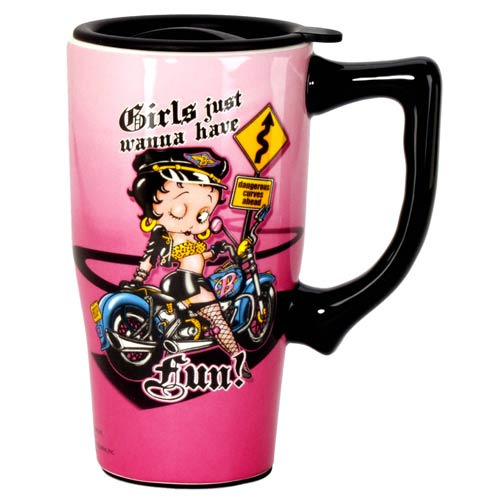 The mug features ever-adorable Betty Boop, and she's ready for a good time! Ages 14 and up.